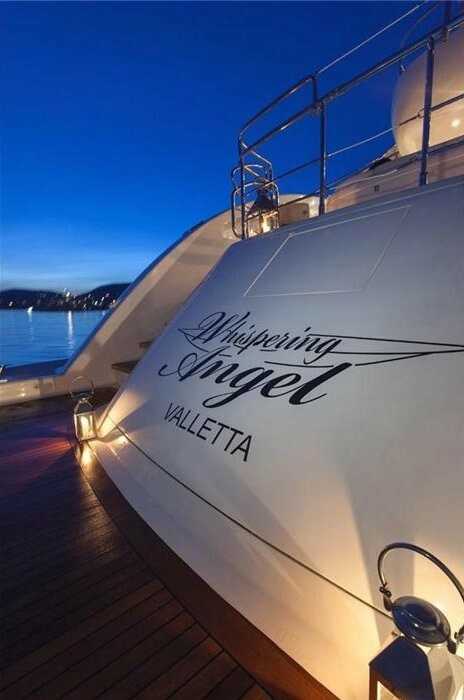 Motor yacht WHISPERING ANGEL (ex JUNIE II) is a 37m ISA 120 superyacht built by International Shipyard Ancona in 2008 to an Andrea Valicelli design. 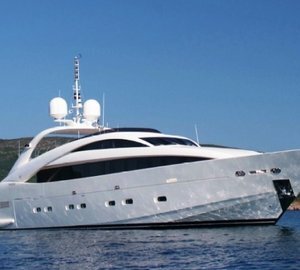 She has a planing hull and triple water jets, powered by three MTU 16V 2000 M93 diesel engines giving a total horse power of 6,000. 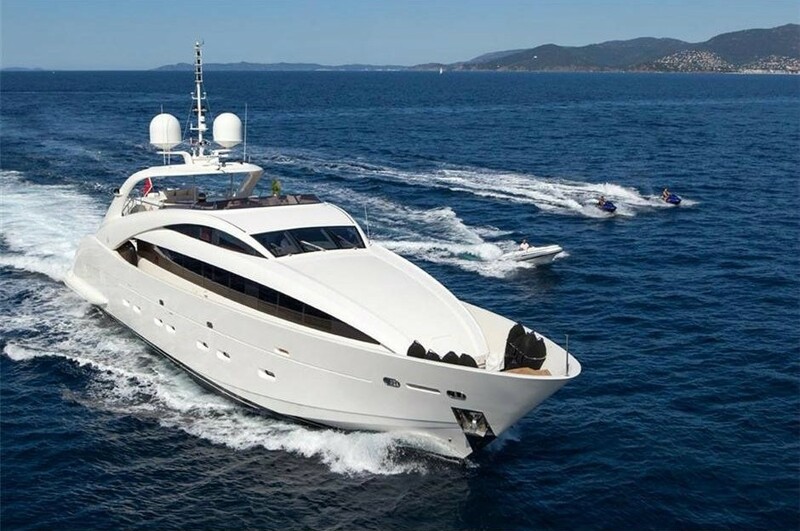 This power, together with her light composite planning hull means she is able to reach cruising speeds of around 27 knots and top performance speeds of around 31 knots. 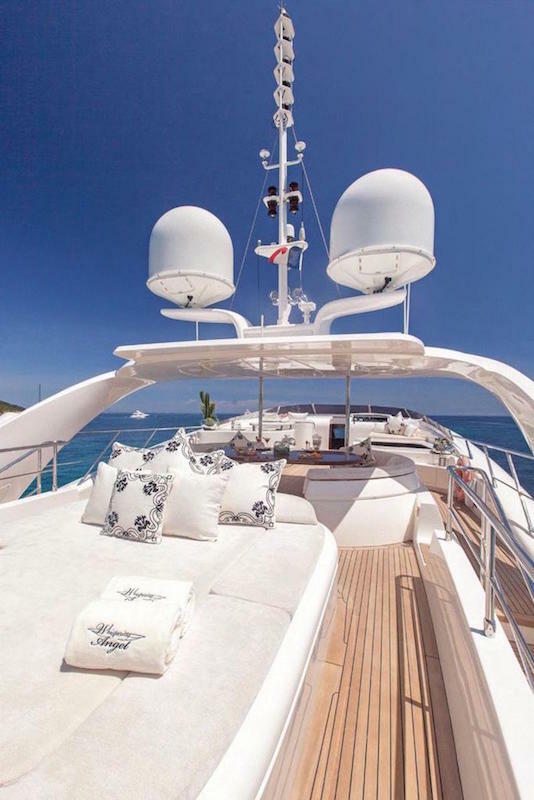 Comfortable, luxurious and stylish WHISPERING ANGEL also provides zero speed stabilisers (at anchor and underway) for overall increased comfort and stability. 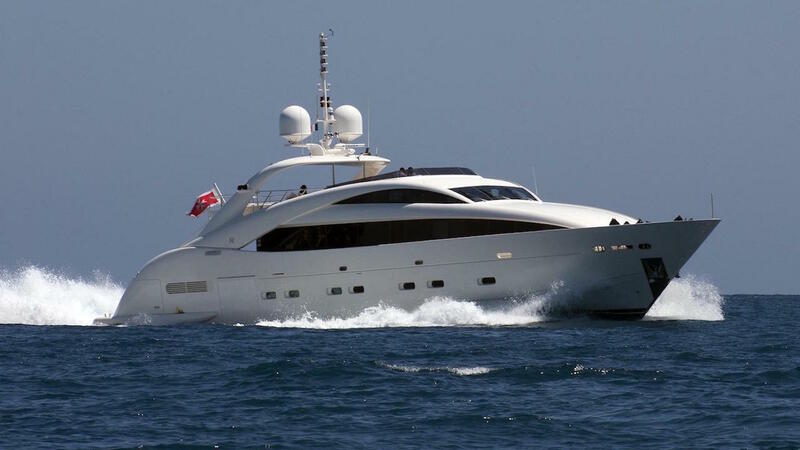 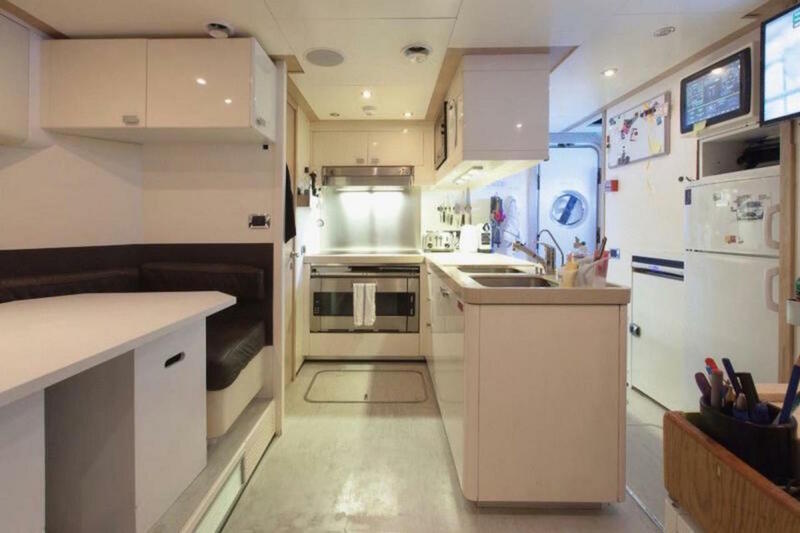 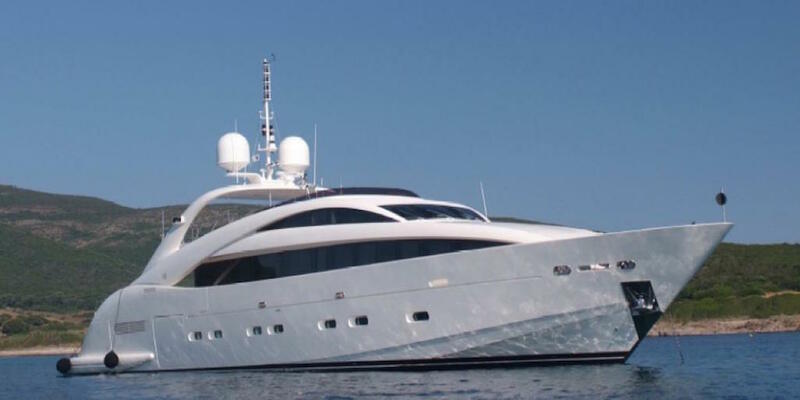 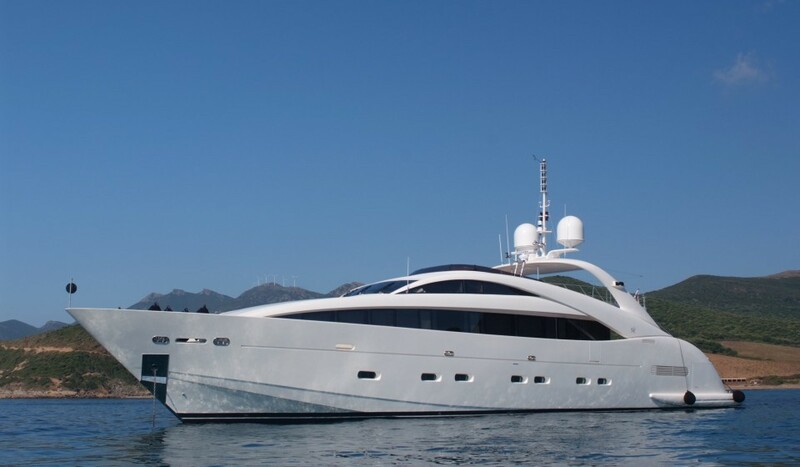 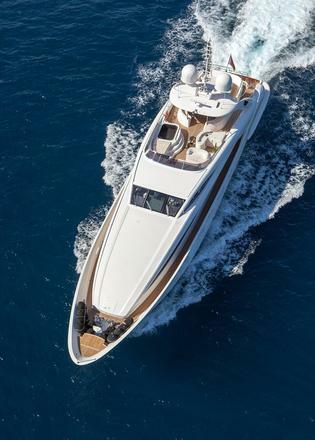 She displays aggressive yet subtle and clean lines, performance and function while featuring a voluminous interior that is hardly seen for a vessel this size. 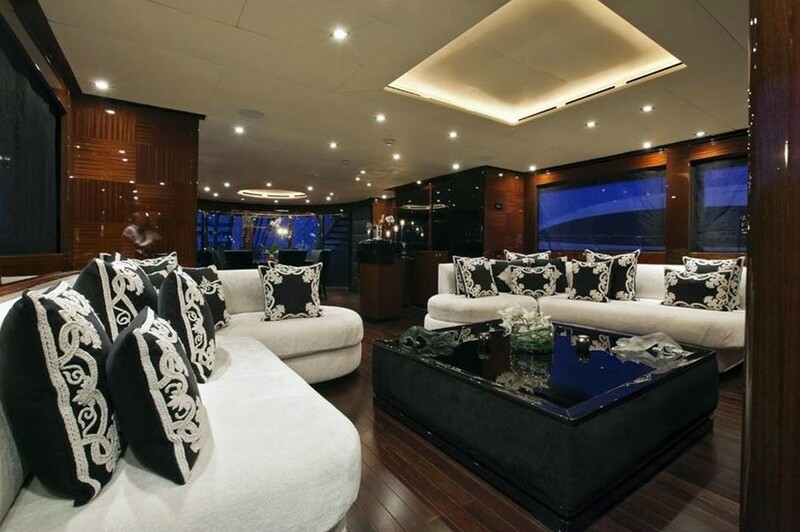 The interior features mahogany furniture and pieces throughout. 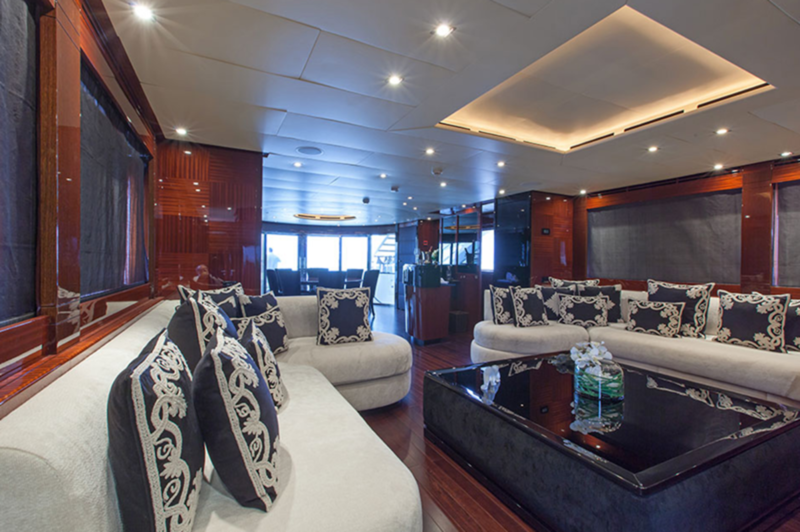 The saloon floor is adorned with a glossy wenge' finish that is complimented by contrasting white leather couches. 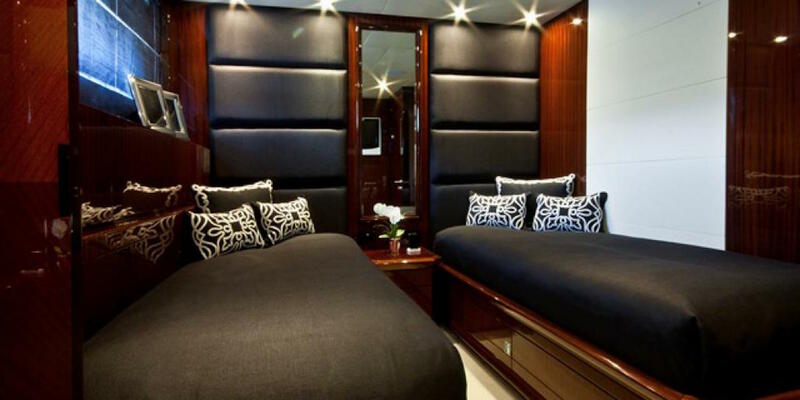 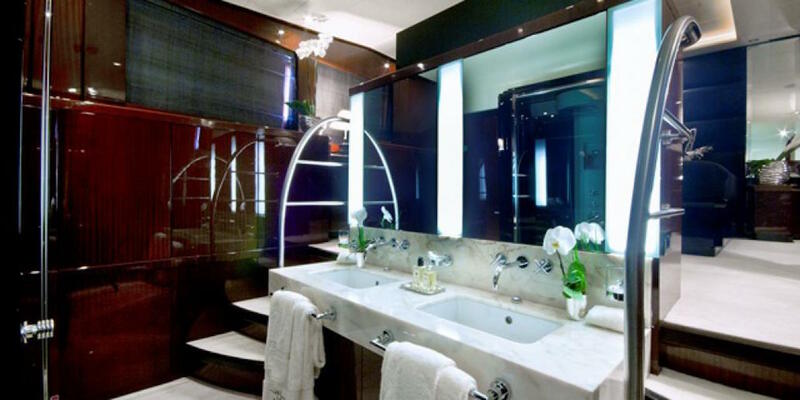 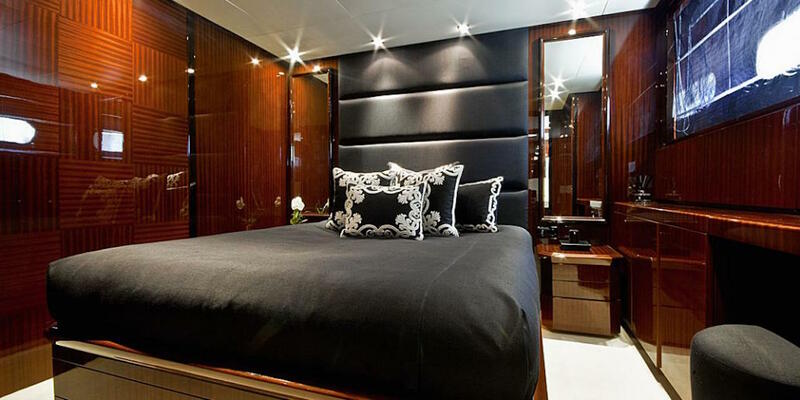 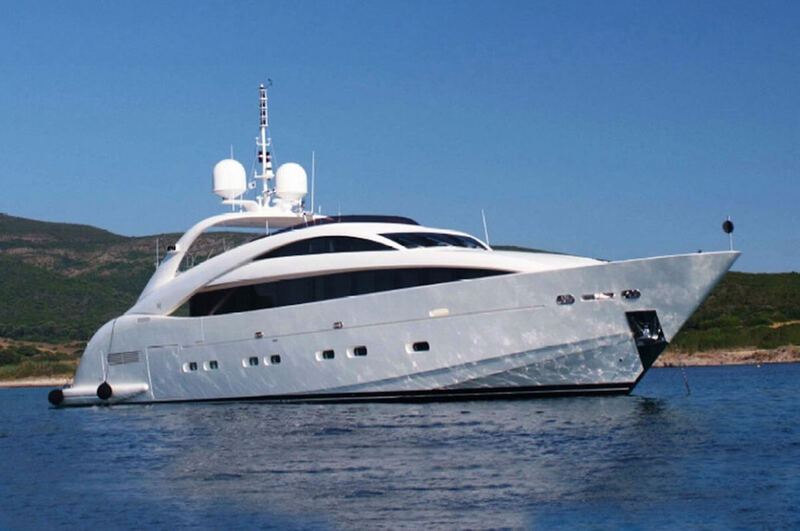 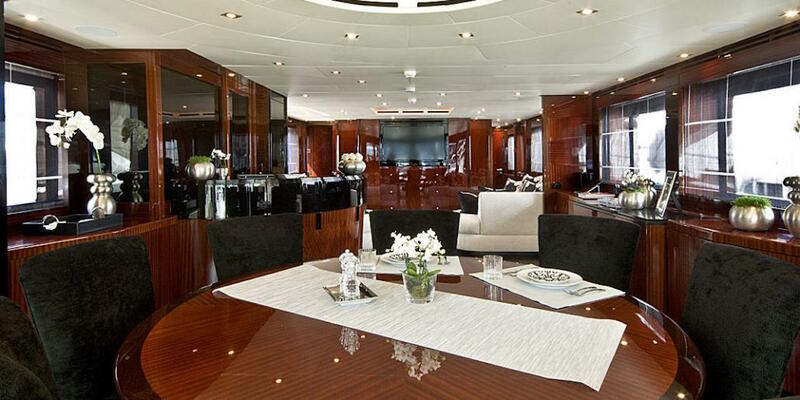 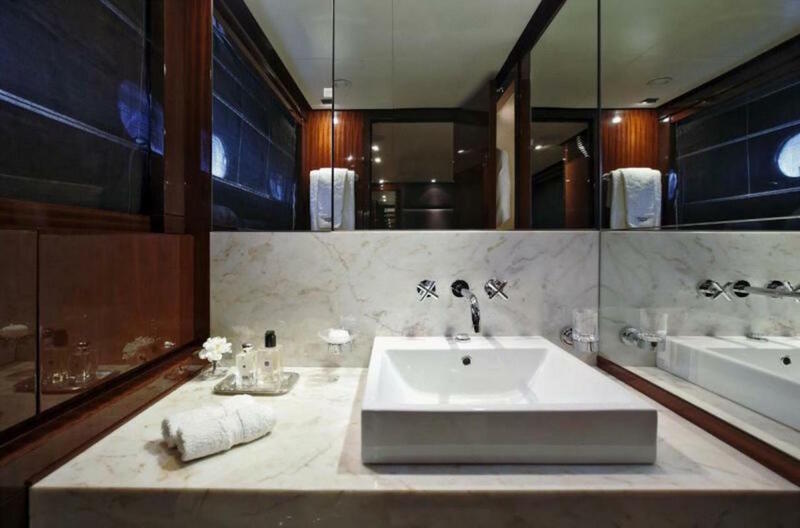 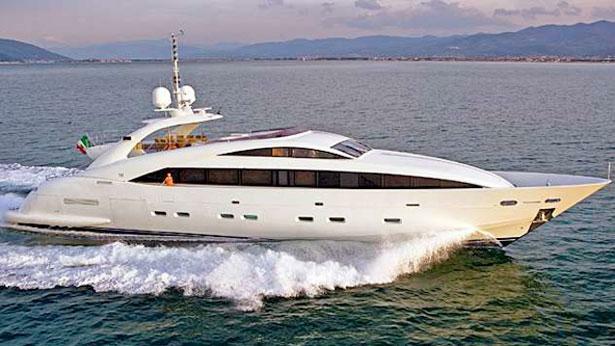 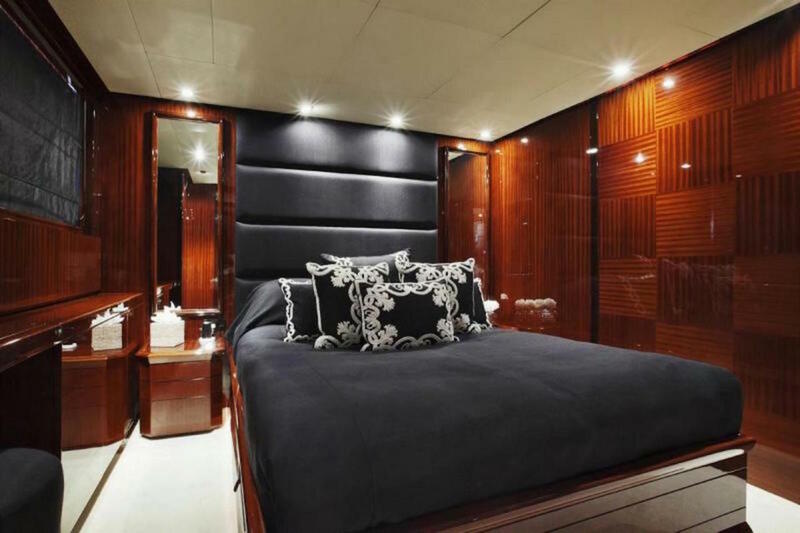 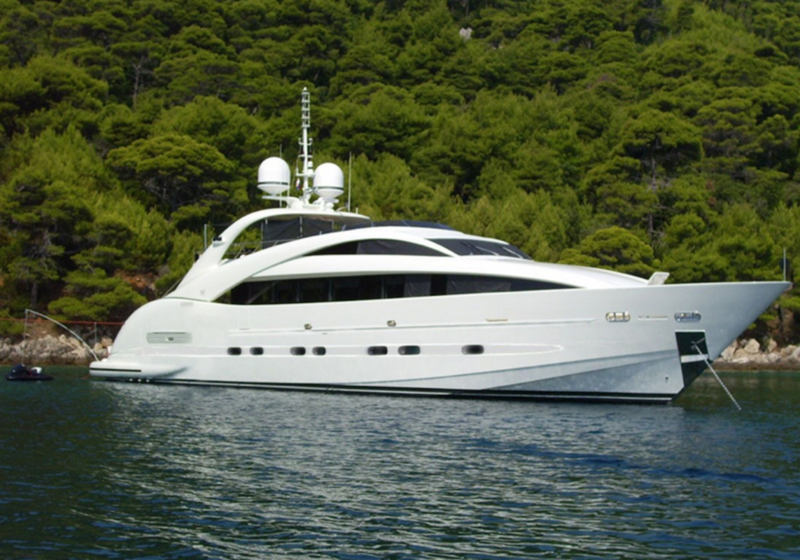 Luxury motor yacht WHISPERING ANGEL can accommodate up to 10 charter guests in 5 ensuite cabins. 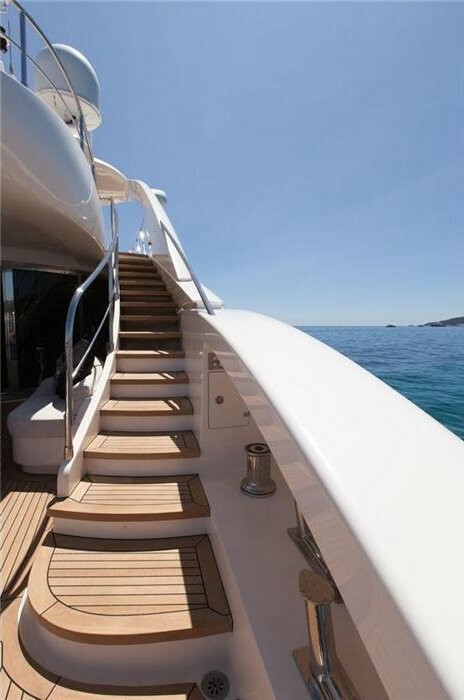 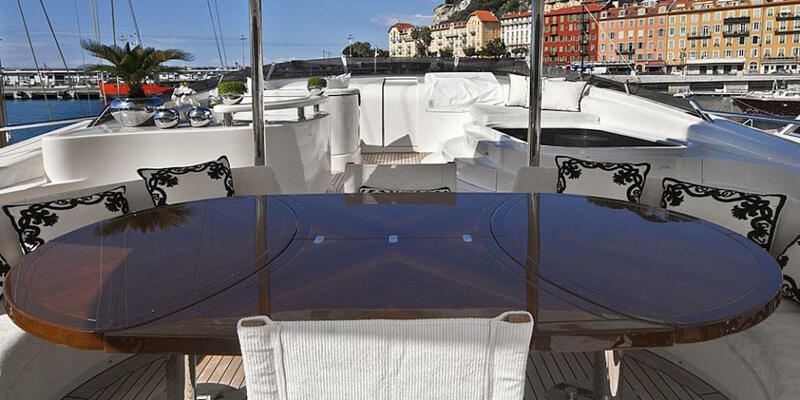 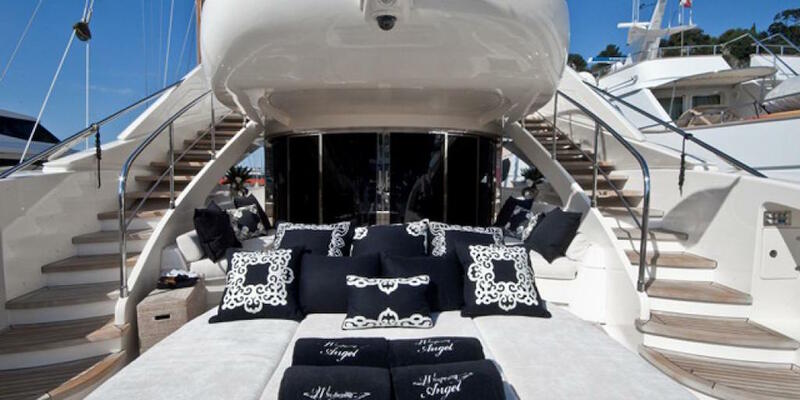 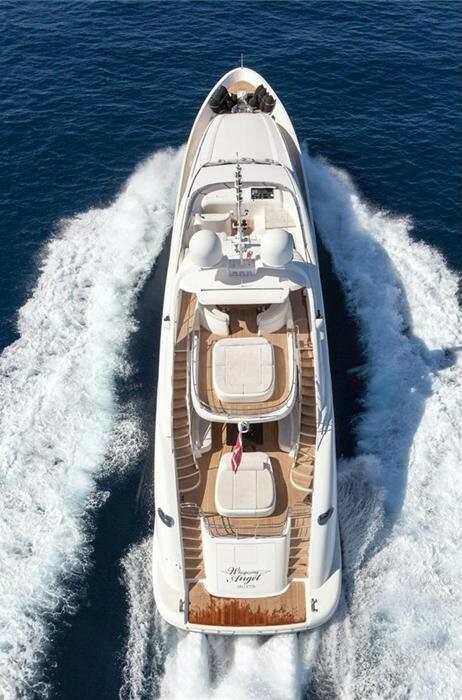 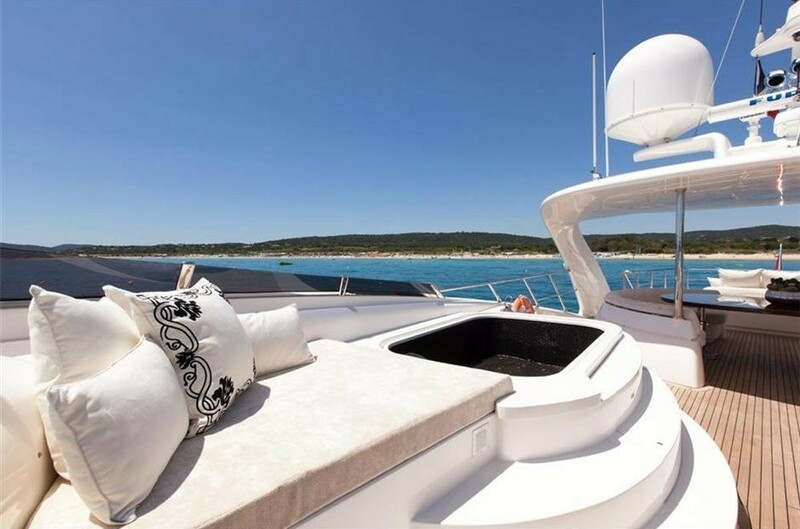 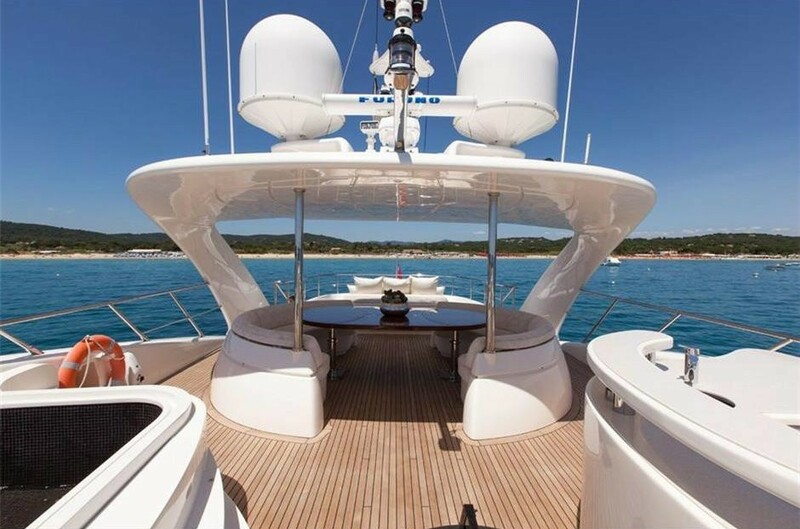 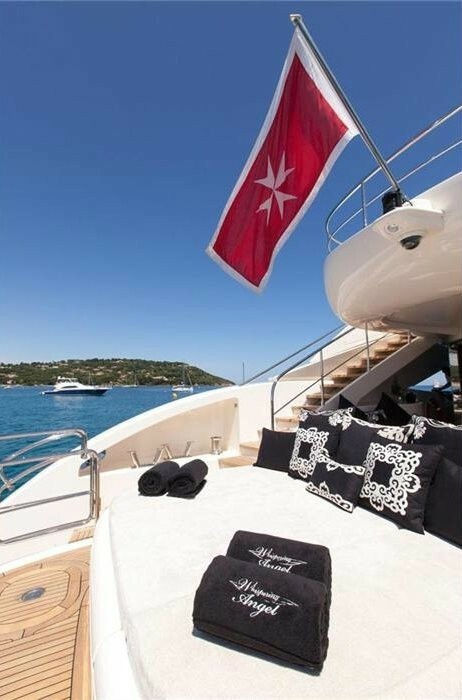 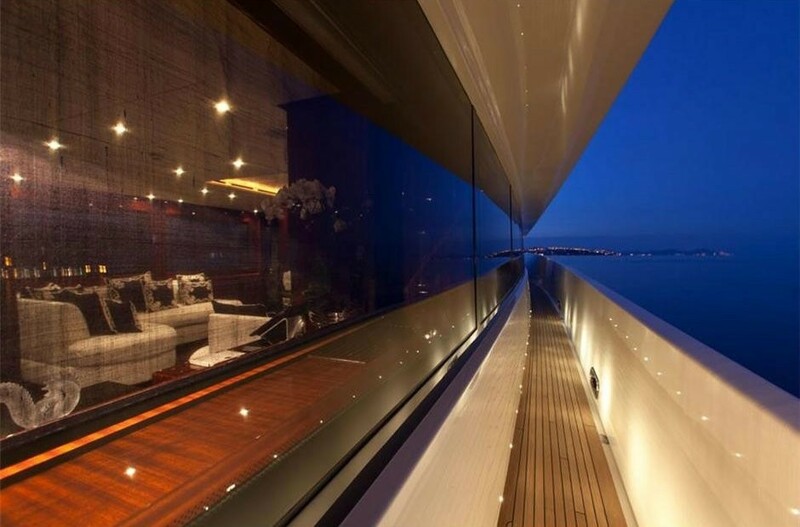 The versatility of the Sun-Deck is another special feature onboard luxury yacht WHISPERING ANGEL. 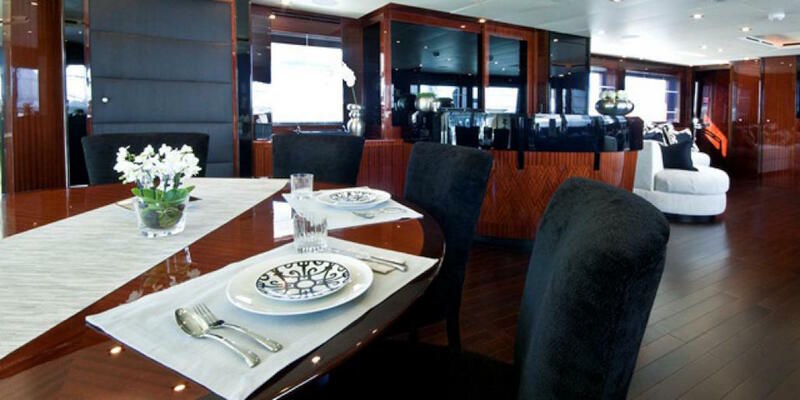 The sumptuous sun deck is equipped with a sun bed that, through an electric system, can turn into a table with “teppanyaki” cooking top. 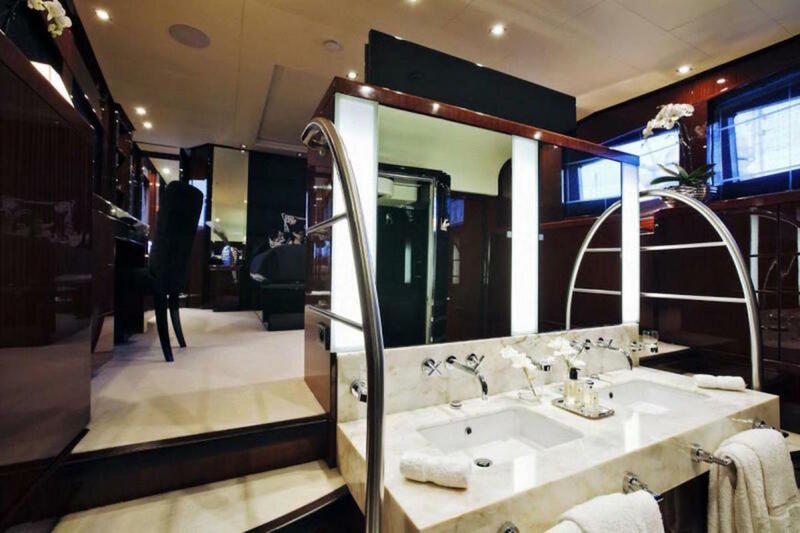 The Spa Pool and the bar area with dumb waiter, grill, hot plate and a fridge is everything needed to entertain charter guests. 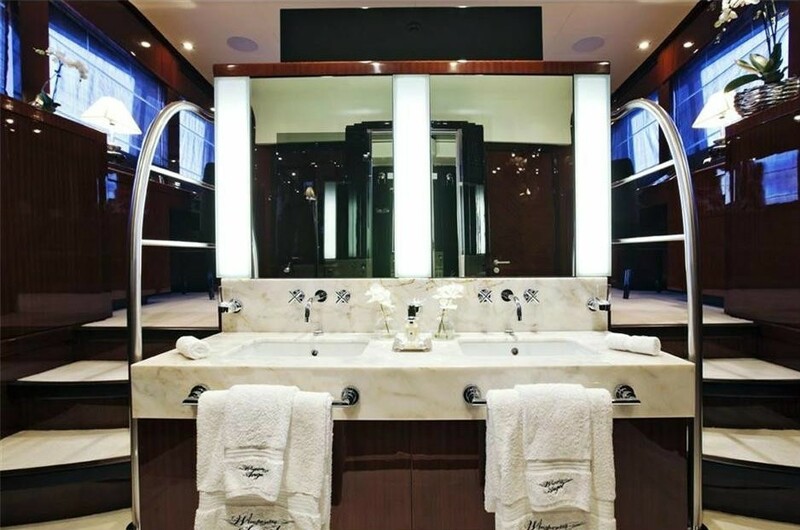 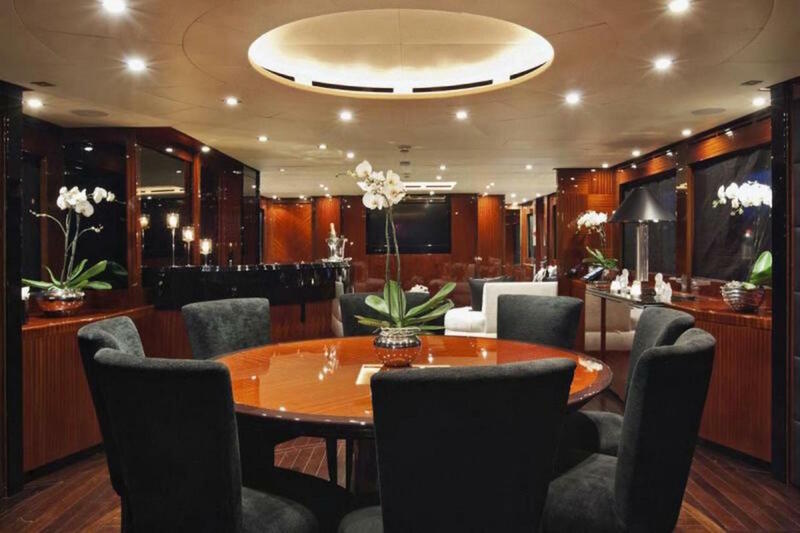 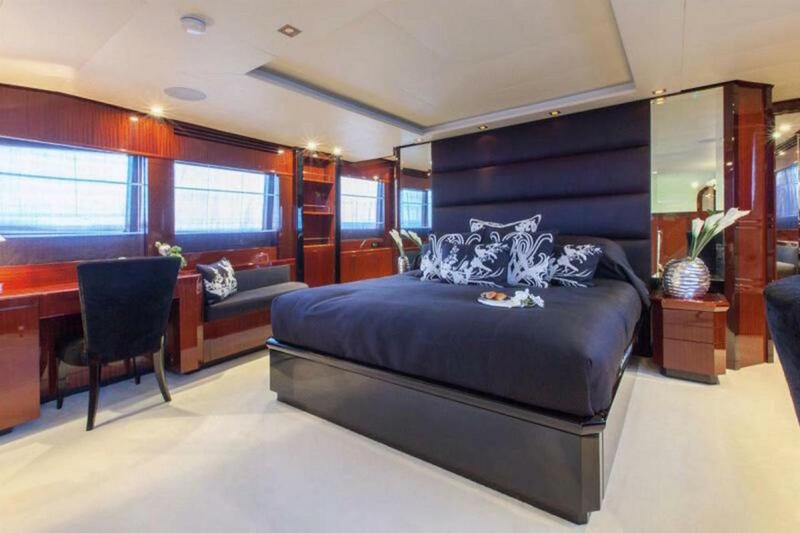 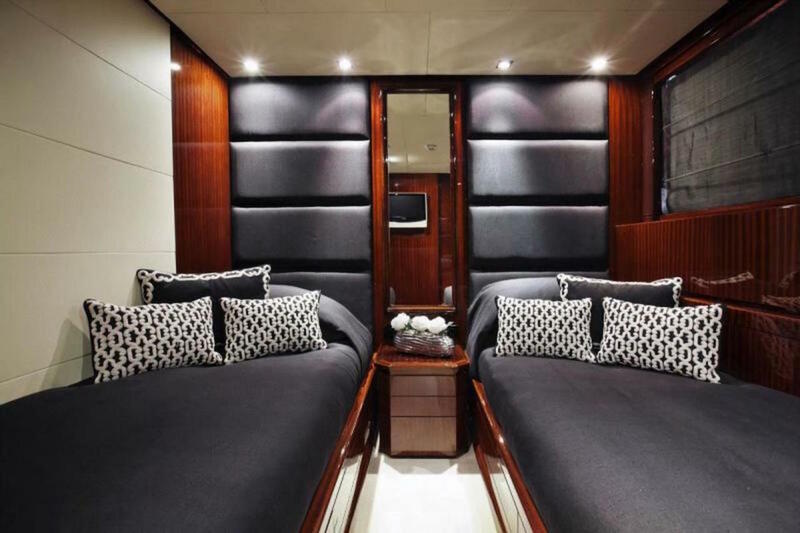 Motor yacht WHISPERING ANGEL received an extensive refit 2012 including new soft furnishings, fabrics, crockery, glassware and a brand new AV system that is now all controlled by iPads. 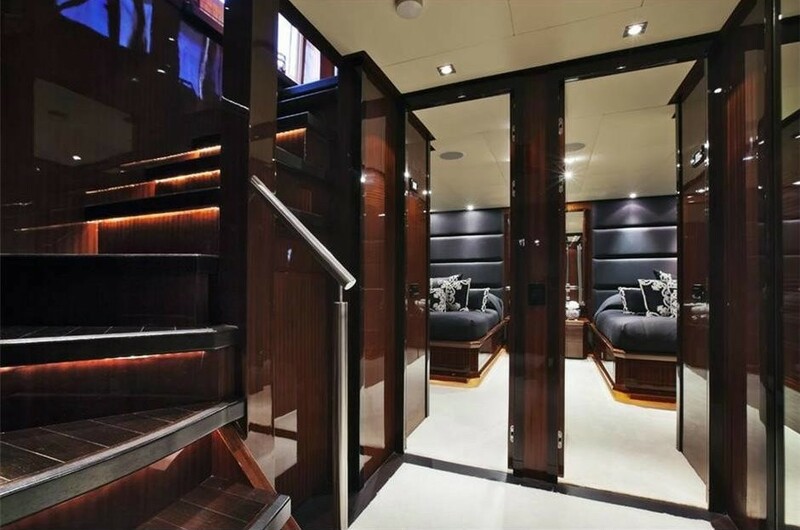 The cabin configuration consists of a large split level master suite with an adjoining open bathroom forward and down a flight of stairs. 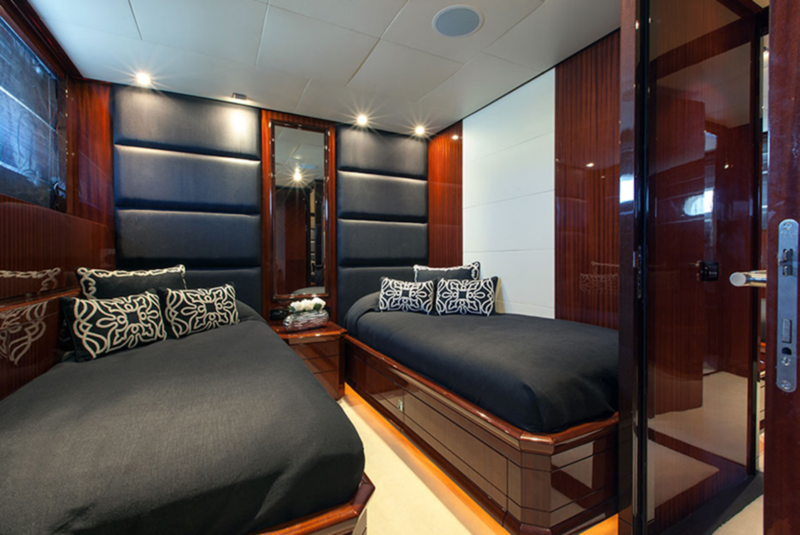 There are also 2 double cabins and 2 twin bedded cabins. 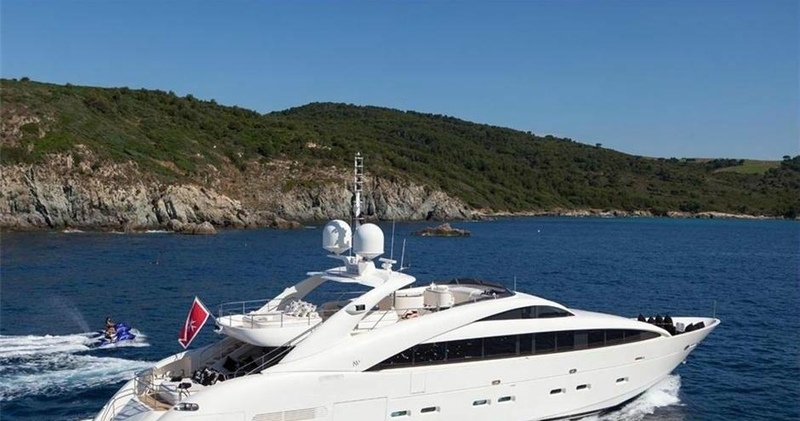 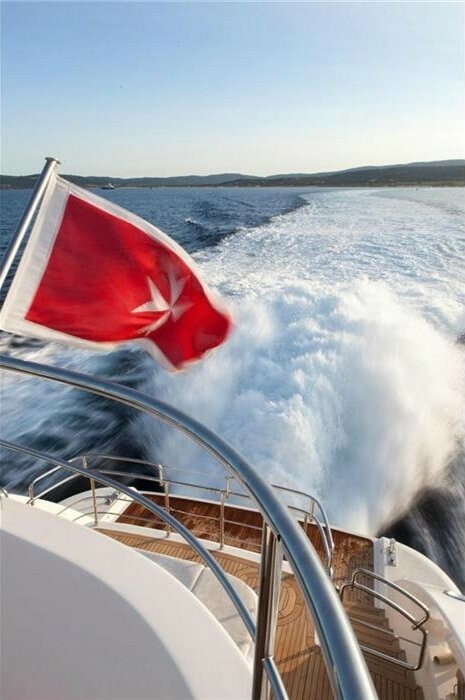 ISA 120 luxury yacht WHISPERING ANGEL (ex JUNIE II) has the following extras onboard: Tenders & Toys include a Novurania EQ 500LP with inboard Volvo 160hp, 2 Yamaha Jetskis. 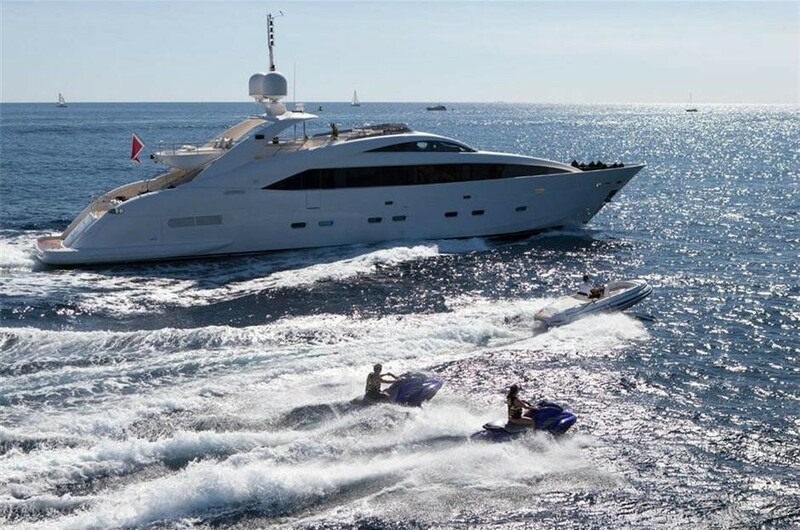 Further details on water sport toys along with Communications and Audio Video facilities to follow.